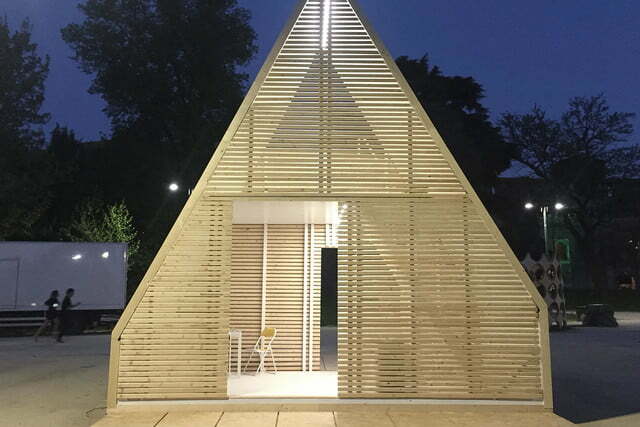 Tiny homes and modular construction are all the rage these days, but one brilliant Italian architect may have created the most versatile combination of the two trends yet with the M.A.DI house. Comparable to a moveable property, these foldable modular living units are a bargain starting at about $33,000. 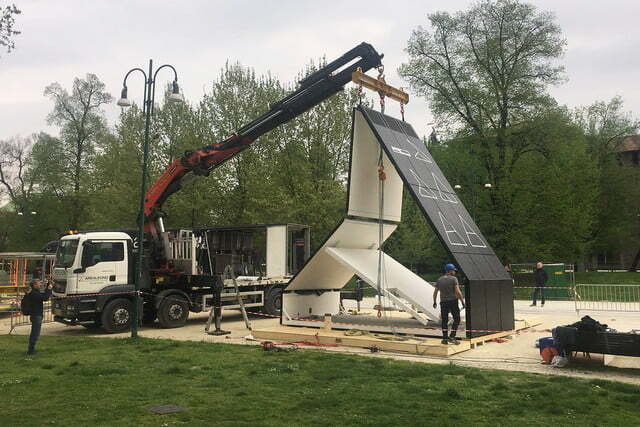 The hyper-deployable units arrive flatpack from the factory and require a crane and three people to pull up the pitched roof into an A-frame design. The opening and closing movement is based on technology guaranteed to hold up by special steel hinges. 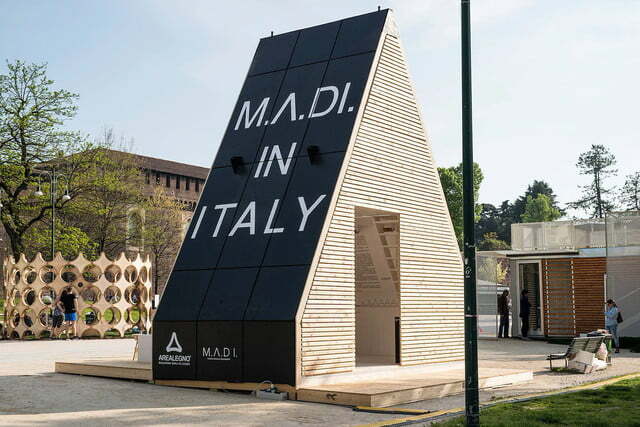 M.A.DI stands for “Modulo Abitativo Dispiegabile,” which roughly translates from Italian to “unfoldable housing module.” The units are the brainchild of Italian architect Renato Vidal and are manufactured by wood specialist Area Legno in Italy. 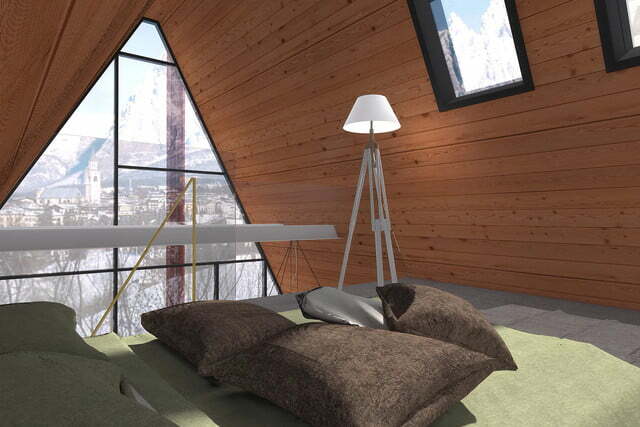 They’re built using cross laminated timber to create these modular and multi-use housing units. 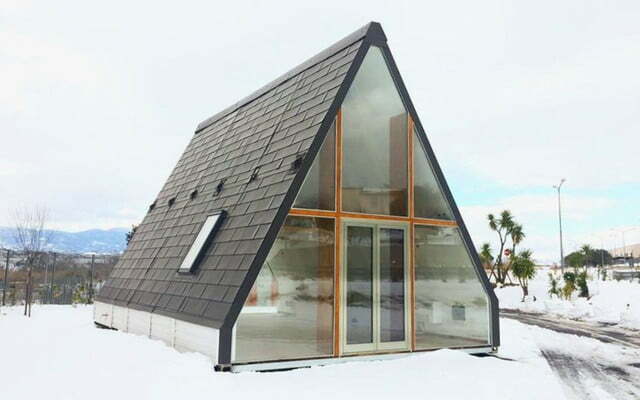 Unlike other modular housing units, the M.A.DI house doesn’t require a concrete base. Any flat surface will do, meaning the design and deployment has zero environmental impacts. Its patented anchoring system has no impact on soil, and it is recoverable at 100 percent. “Its specificity lies in the extremely simplified deployment technique,” according to the company’s website. 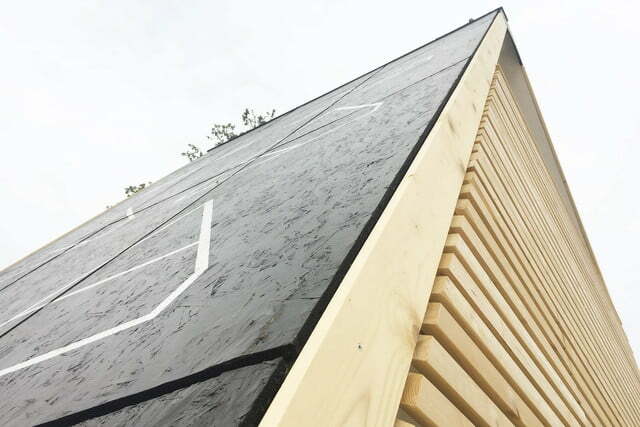 Once the roof has been pitched, the deployment team adds internal walls, windows and flooring, with the whole process taking six to seven hours. Water, sanitary, electrical, air conditioning, heating and drainage system are all pre-installed as well as connections for a kitchen. 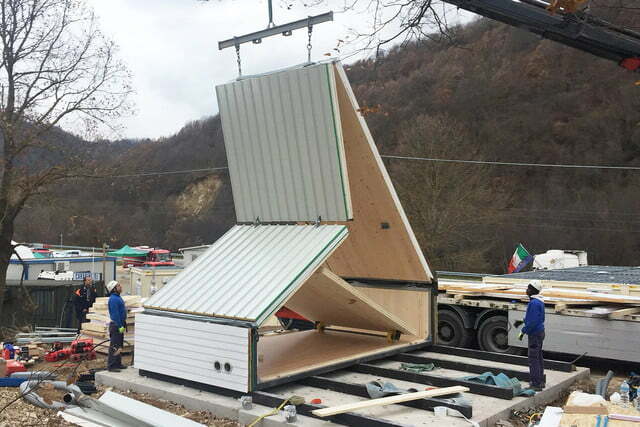 The system is entirely prefabricated in Italy and each element of the M.A.DI home is dry assembled and easy to put together and maintain. The standard M.A.DI structure is classified as class B by European standards for energy consumption, but the unit can be customized to meet class A standards. This means the home can be converted to a passive house with the installation of amenities like rooftop solar panels, LED lighting, water tanks and a gray water system. Because the construction system is both modular and foldable, the houses are customizable, expandable and transportable. The M.A.DI house is also earthquake-resistant, which means they can be deployed for affordable housing, temporary quarters for sporting and entertainment events, or medical facilities to help communities around the world recover from natural disasters. When it’s time to move out, the structure can be disassembled and stored for future use. 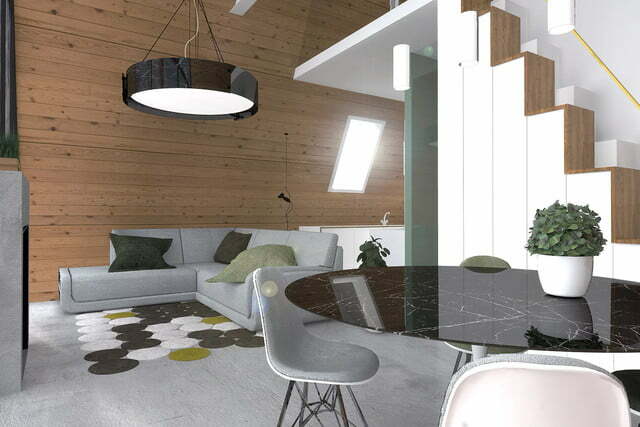 “M.A.DI gives you the opportunity to have a temporary house wherever you want or a permanent house in a building area. Moreover, according to your need and your financial availability you can customize it in dimensions and materials,” according to the company’s website. The multi-functional modular structures can also be as small or as sprawling as a customer desires. The company currently offers five models that can be interconnected as needed. 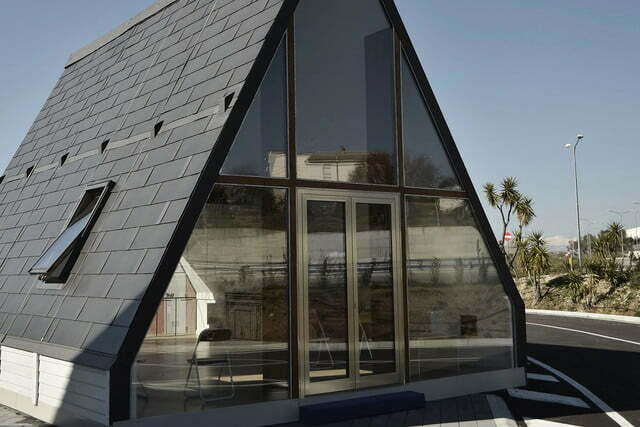 The smallest is a single module that measures 27 square meters, or about 290 square feet. The double module comes in both basic and luxury versions and measures 46 square feet or roughly 500 square feet. Finally, there’s a triple module designed for families or small companies that range from 70 square meters (753 square feet) to 84 square meters (904 square feet). Pricing ranges from $33,00 for the single module and up to $73,000 for a triple module. 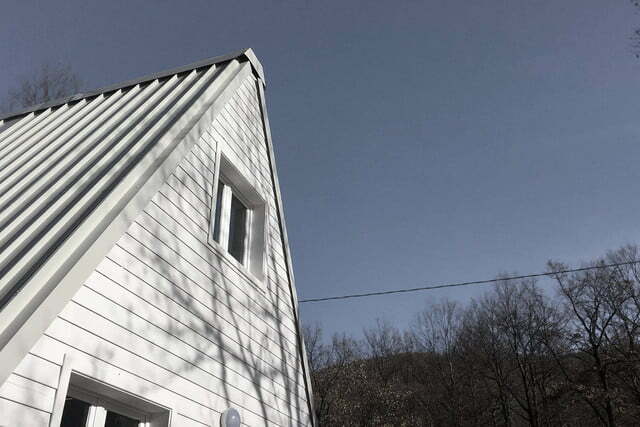 Other options include an additional module for $21,000 and a staircase for an extra $2700. Construction and delivery takes approximately 30 to 40 days from date of order, with a unit price around $930 per square meter. It’s unclear as of yet whether the units are subject to building permits due to their temporary characteristics. 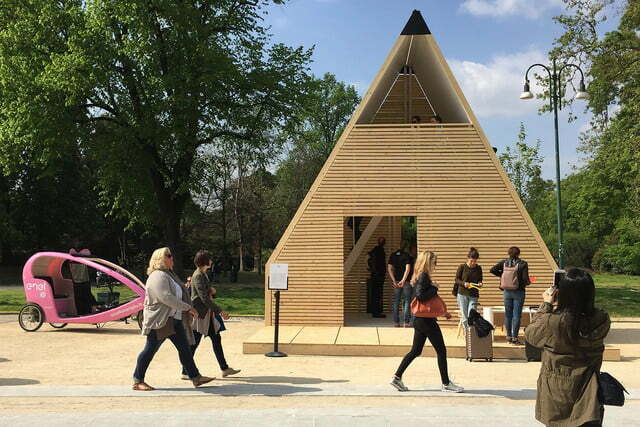 The housing units were featured earlier this year at the Milano Design Village in Milan, Italy, and were a hit with guests as well as the international press. Attention on social media has been on par with comparable projects like Ten Fold Engineering’s folding mobile structures. Unfortunately, the M.A.DI units are currently only available in Italy. However, architect Renato Vidal and his team have secured an international patent and hope to start selling abroad in early 2018. 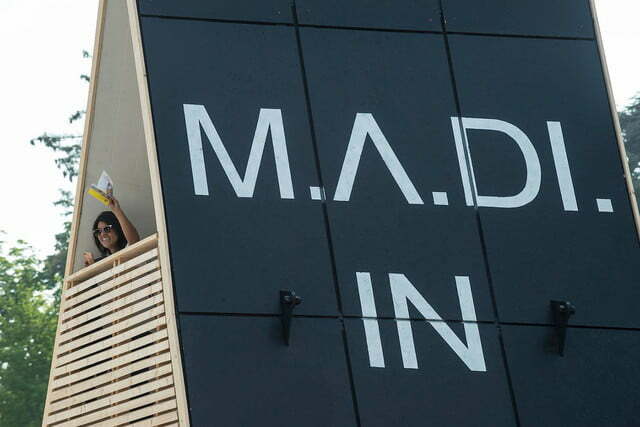 The company hopes to export its products from Italy to North Europe, Australia and the United States.